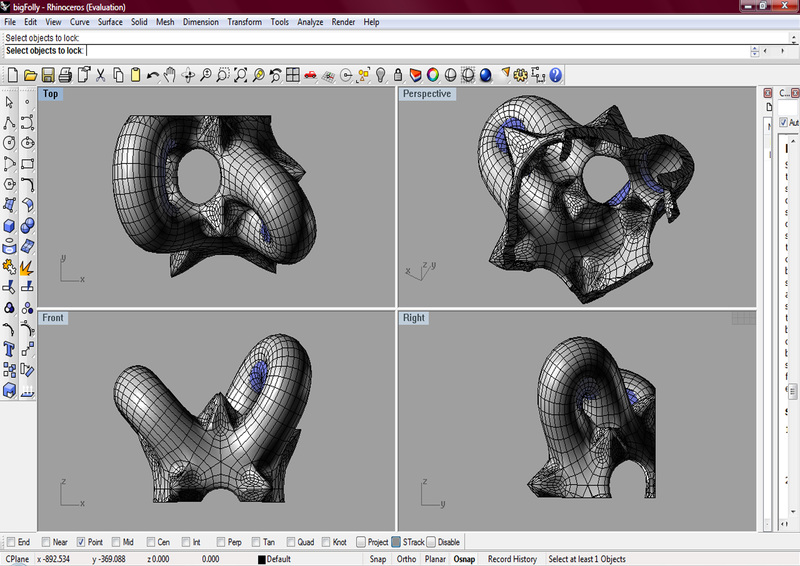 For this assignment we were given the task to create a jewellry peice by using the software “Topmod” and then scaling that particular peice to a larger scale and slicing it and manupilating it to create a habitable space that can then be printed out in 3D! !… again im a beginer to Topmod, Love the programme but hate the fact that it crashes so many times! 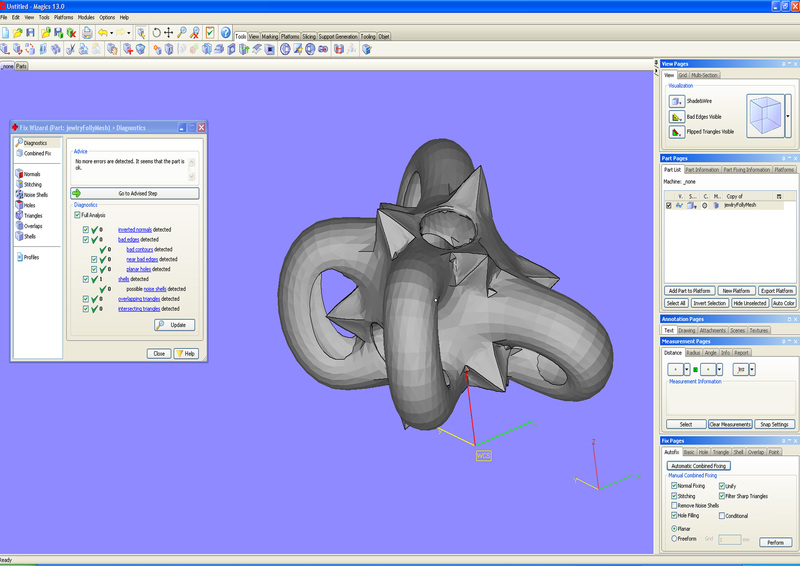 !…but with this software you are pretty much able to really manupilate any geometrically/ spherically given shapes. 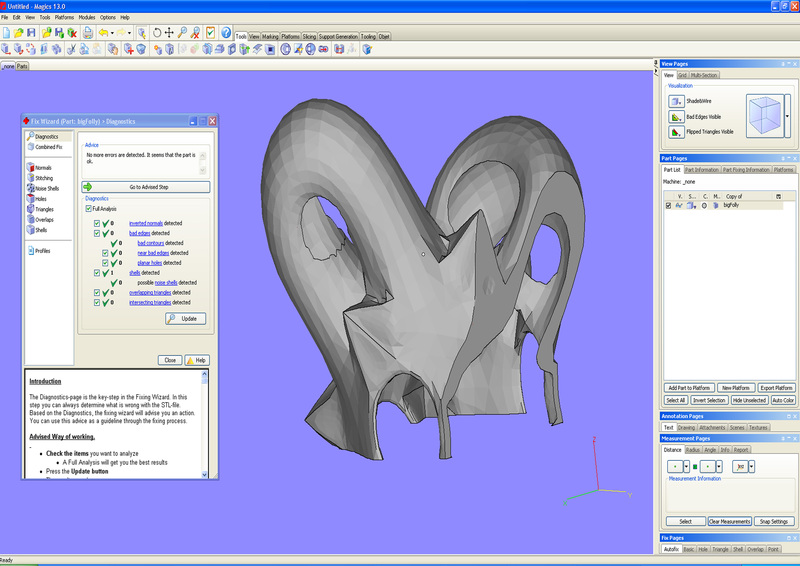 the remeshing tool at the top is a good way to get get a sense of depth into you model, after having completed the desired shape you then export it to rhino which further helps you to be more inventive and creative with your design . 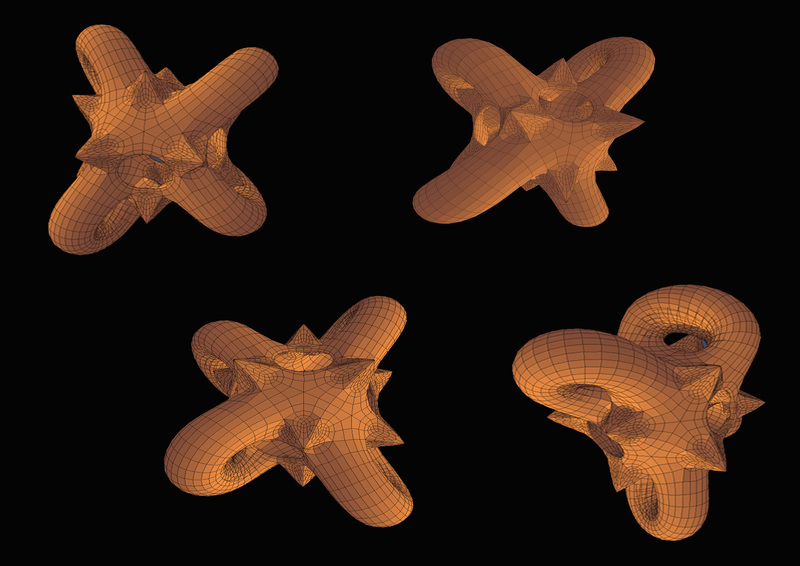 ( it needs to be scaled up to a moderate size )..the visual images below will show what i have done so far. next step is to mesh fix and find a suitable material from ‘shapeways’ to print my model, one being a jewellery peice and the other being a model that shows a habitable space….this however is done on the zcorp printer.